It’s weird how the definition of a hard video game has changed over the years. 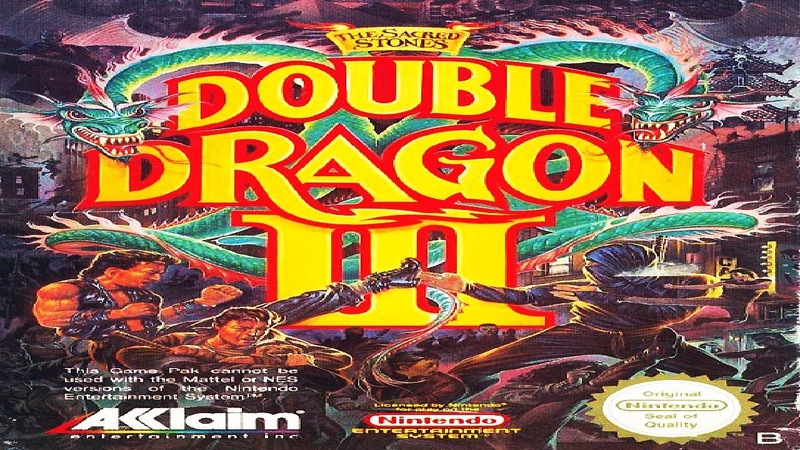 Games we view as hard now would have been a walk in the park back in the days of NES. See, when Nintendo released their first game system, it was very limiting in terms of how complex the games could be. They just couldn’t make most games long enough for a single play through to be considered worth it. 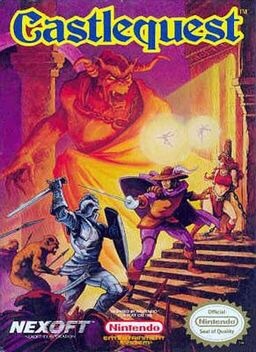 So they took a much different route than most modern-day games: they ramped up the difficulty to such a degree as to make it incredibly hard to beat. Also that there was less knowledge of what made a good game contributed to some games being much harder than they needed to be. As a result, there are many obscenely hard games on the NES. Here’s my list of what I believe to be the 10 hardest. 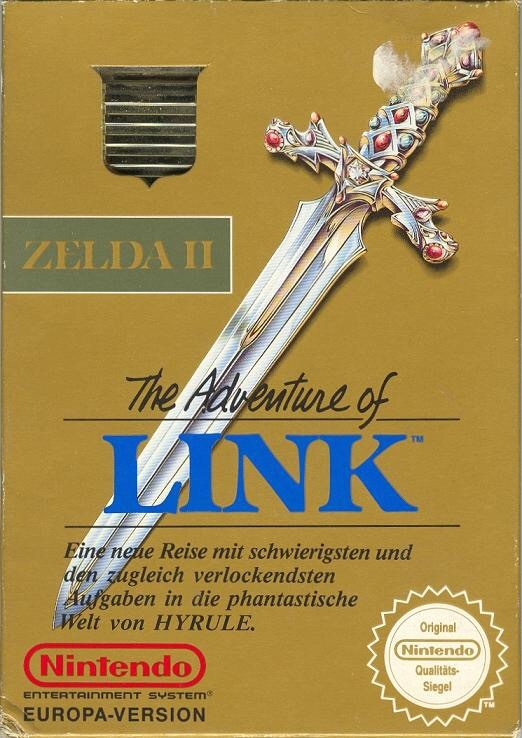 When compared to the rest of the series, Zelda II: The Adventures of Link is like the black sheep. It’s unlike any other Zelda ever made. The creators of Zelda II didn’t really have the long-term vision of Zelda set in stone, so they tried something a bit different from the original Zelda. The main difference is less emphasis on puzzles, more on combat. Also there is a system where you level up, rather than getting new items and hearts from dungeons. Whenever you bump into an enemy on the world map, it takes you to a kind of 2D platformer where you have to fight your way out of it. This is really where the difficulty comes in. Unless you’re an experienced player, combat is very challenging. You have a limited amount of lives, if you run out it starts you quite far back and you lose all of your experience. Some people think this game isn’t hard, but that is merely because they’ve played it a lot; to a new player, this game is insane. This is easily the hardest Zelda game, though based on the radically different play style this barely qualifies as a Zelda game. This is a puzzle game with a nice little twist to it: the ability to easily get stuck without any way to progress. Sound fun? It actually is pretty fun despite the ridiculous difficulty. Many of the puzzles are simply ridiculously hard. There are both skill based and intelligence based puzzles in this game (and combinations of both), so you’ll need to be both skilled and intelligent to complete this game. You have to clear through 50+ rooms to beat this game, and only start with 3 lives. You can find extra lives and fairies to help you progress, but they are very well hidden. Hitting zero lives means you have to restart. There are many enemies you will face throughout, all with the ability to respawn indefinitely. Also if you get to the end without beating all the hidden levels, it won’t give you a real ending so… find everything! This is a Streets of Rage style fighting game that is probably the hardest in the genre. There are a number of reasons for this, the most notable being the fact you only have one life for a substantially long period. You can get extra group members, but in all honesty they aren’t as good as your original character, and it’s a while until you get your first new group member. When your whole group is dead, you lose. Another thing to note: the average enemy is surprisingly tough. So as well as having very little lee-weigh in terms of dying, most enemies are quite capable of injuring you greatly. There is one thing that can help you, and that is having another player. Teamwork is probably the best way to beat this game; be careful though, they felt the need to add friendly fire. You also can get various weapons throughout the game that will make you hit harder. Despite all this, the game is pretty solid if you manage to get through it. If you like to be challenged, this might be the game for you. Here’s a game that can be quite rage inducing. 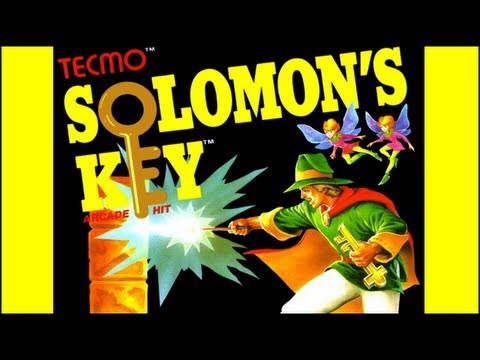 You have to make your way through a surprisingly large castle, using all the keys you get properly. There are a number of different colored keys, each of which can open a certain type of door. However, many doors lead to nothing, so it’s quite possible to get stuck by opening the wrong door. The thing is you were meant to have the manual for this game to help navigate. If you don’t have the luxury of the manual, good luck finding your way through. It would take an insane amount of trial and error. Some of the other games on this list have a surprising lack of lives, but there’s some good news: you get 50 lives in this game. However don’t get too excited about that, it is surprisingly easy to die. The reason you get 50 lives is this was an arcade game port, which had unlimited lives at the cost of quarters, so they decided 50 was a good number to start a console player at. There are a number of puzzles in this game, many obvious, and many which are not obvious in the least. Some require you to be quick, so this isn’t just a test of intelligence. There are also ways to get stuck not relating to keys. If you feel like getting your soul crushed, pick this game up! This is probably the most well-known series in this list, but don’t let that fool you: the original Mega Man is insanely difficult. First of all, there isn’t a password system to load your progress, unlike every other Mega Man. So that means you’ve got to beat this game in one sitting. Second, there are many, many platforms that require you to jump absolutely perfectly, and in many cases, failure means death. Third, there are no sub tanks, so you had to complete every level with only the life you start with and the unusually rare health drops. Also there were none of those rooms before the boss where you spawned after dying on the boss, if you died on the boss you had to fight your way back to him. 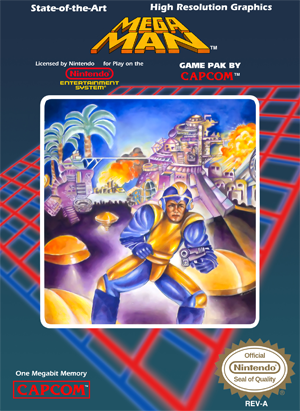 At least like other mega man games if you had a game over you didn’t have to start from the very beginning. Even still, this game is rough. The creators didn’t estimate the game’s difficulty too well, many enemies are way too hard and many jumps were incredibly risky. There is no hit immunity, meaning if something hits you, you can immediately get hit again. The spikes in this game have super brutal placement. The wily levels are also super difficult. All in all, this game is really, really hard. 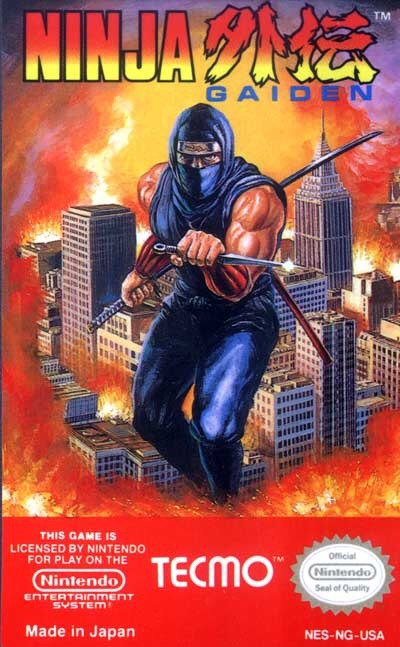 Ninja Gaiden is another game that is still around and popular today. However, the first installment is ridiculously hard. Probably the greatest challenges in this game are the extremely complex jumping components. You have to jump perfectly across some gaps, and though you aren’t always killed by failures, they can be incredibly difficult. Another challenge is the fact you get knocked back when you get hit, and that can really mess with your bearings. A real challenge of this game is how far you can get set back by dying. For instance, the last boss has 3 phases and is located at the end of 6-4. If you die on any phase of it, you start back at 6-1. The last boss is really hard, too. One thing about this game: It might be hard, but it’s really good. It has cartoon cut scenes that are simply beautiful. It’s got a really good story, too. If you’re going to try one of the games on this list, I would probably recommend you try this one. This game is fantastic, but hard. 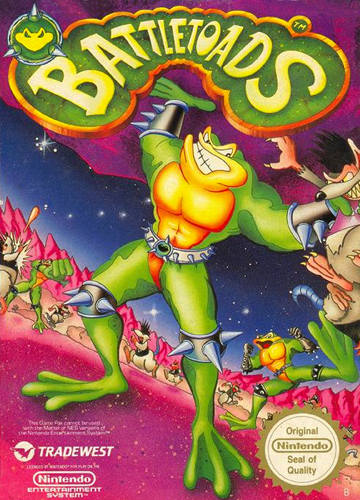 Battletoads is a game that I remember both nostalgically and frustratingly. 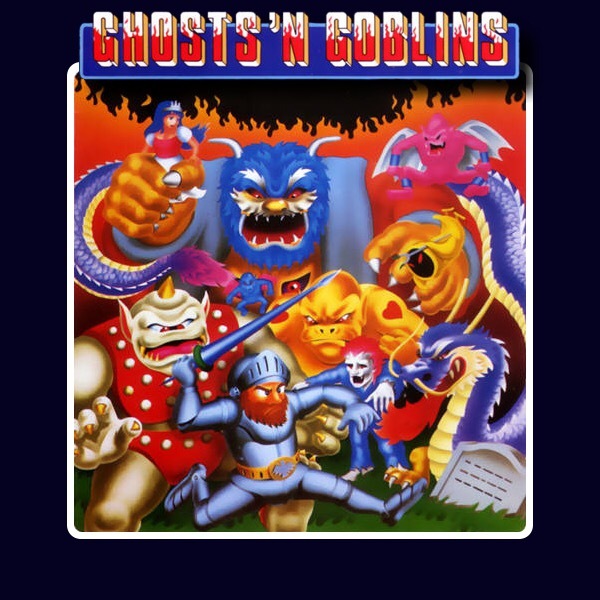 Nostalgic because I remember the first two levels being fantastic, but frustrating for anything that came after the second level. The first two levels are pretty challenging but super fun, the fighting in this game is great. However, the third level is simply put, insane. It is called the Turbo Tunnel. You start off on a speeder bike, on a nice, easy ride across a completely reasonable level. Just kidding, most people die in like 5 seconds. There are countless obstacles you have to dodge, chasms you have to ramp over, and barriers you have to jump or duck over. If you fail any of these, you die immediately. You have to do all of these barriers with perfect precision because they come so rapidly. This requires superhuman memory and dexterity. Guess how many lives you get in the entire game? Wouldn’t you love having 3 lives with like 2 continues, as is the case with most games like this? Well that would be just too easy. You get 3 lives, with no continues. So you have to make it through the ENTIRE game with a measly 3 lives. How many levels are there, you ask? 13. 13 levels, 3 lives. So you can die once every 6.5 levels, though very few can say they’ve even made it past the turbo tunnel. Yet this is somehow only number four on my list. 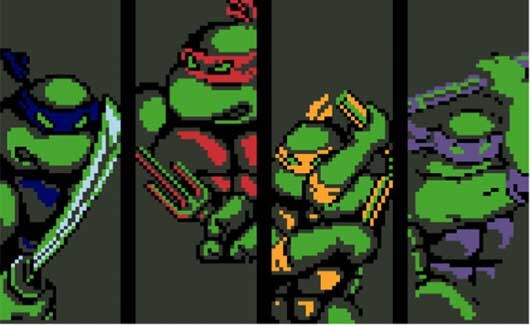 The first installment of the Teenage Mutant Ninja Turtles series met the same problem as many of the other first installments on this list: they greatly miscalculated the difficulty. 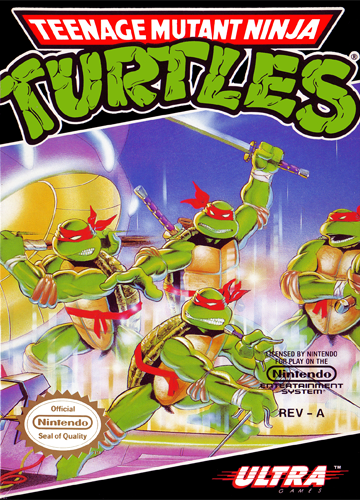 This game is fairly imbalanced, pretty much if you don’t happen to be Donatello, you’ll be fighting with an arm tied behind your back. Losing Donatello means you won’t be long in this world. However, the imbalances aren’t the true reason for this being number 3 on this list. The true reason is one level: The Dam. The Dam is quite possibly the hardest level made for any game ever. I once saw a speed run of this game; they managed to complete this level with 7 seconds left. That means even the best players of this game only have only 7 seconds of leeway. Let me break this level down for you. You have to disarm a number of bombs in this level. You have to disarm every bomb in the given time limit, or you fail. By fail, I mean straight up game over, regardless of how many turtles are still alive. This means to be victorious, you have to know the perfect route to disarm every bomb. That isn’t the only hard part; there is also a bunch of pink seaweed that is electrified or something. This seaweed will automatically kill you if you even touch it. It’s all over the place, and there are some really tight spaces you have to go through. Also as I recall there are some lasers you have to go between with perfect timing, getting hit meant death. This level is completely bonkers, and alone brought this game to third on this list. Now, we move on to the truly obscene. These last 2 are both in a class with themselves. This game is truly unfair throughout the entire game. The only advantage granted to you is unlimited continues. With a few, hard to find exceptions, you can only ever be hit twice in this game. One hit destroys your armor; the next renders you into a dead skeleton. If only that was the only problem. Another problem is that you are extremely hard to control. You can jump up, do a completely uncontrolled running jump, and duck. Your attacks are always horizontal with very limited range. Meanwhile, your enemies don’t follow the same rules. Your enemies can fire in virtually any direction, can move around a bunch and super quickly, and can take much more punishment than you can. Some enemies, specifically red devils, can be truly infuriating how hard they are. This game is just unfair. There is one more extremely annoying part of this game: You have to beat it twice to get a real ending. Mind you, that’s twice in the time you have the game turned on, because NES cartridges didn’t have the ability to save. So if you do manage to beat it once, it just shoots you a middle finger and makes you beat the entire game again. Also there are places where if you complete a level but don’t get all the things it requires, you have to replay the level. This game just doesn’t treat you right. 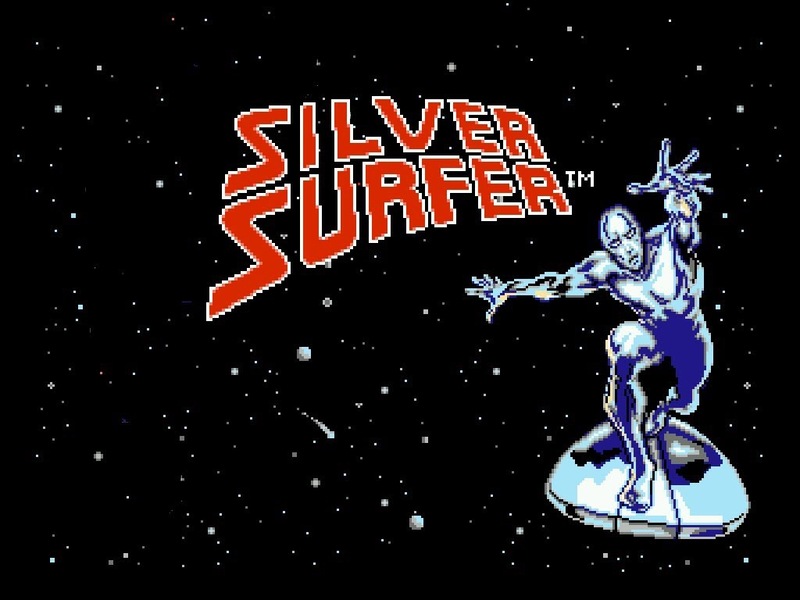 Silver Surfer deserves its place at #1 on this list. You know how all the other games in this list would give you extra lives and taking multiple hits to die? Well whoever made this game decided that was entirely too easy. That’s right, in this entire game, if you get hit, you start over. Couple that with the fact that all enemies charge right at you, shooting projectiles. Also, the fact that for some reason your enemies get the benefit of taking multiple hits without dying and you have the hardest game ever. A single misstep and you start over. Top that off with the fact that if you touch a wall, ceiling, or most anything, you die. It doesn’t really make it obvious what you can touch, too. If you can beat this game, you will one day become president, because it’s easier to achieve than it is to beat this game. At the very least I’d wager there have been more presidents than people who have beat this game legitimately. If you want to live in sadness, play this game for a couple of hours, and you’ll be the saddest person in all the land. Next The Coin-Op Question: Which Marvel Movie is Your Favorite So Far?